Skimming Stones, the special issue of Your Heart Out which can be downloaded for free here, touches on the strange story of Lightning Records which completely defies the prevailing narrative about small labels in the late '70s. It was not a media insider's plaything. It was a genuine small business, and openly opportunistic. 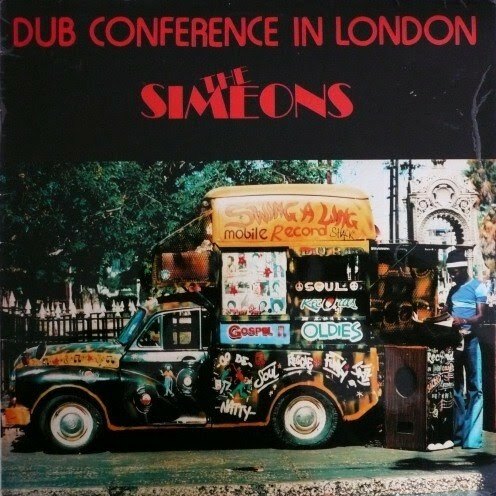 It had a bizarrely mixed catalogue (novelty numbers, football anthems, punk cash-ins) but it also picked up on and made available widely some of the greatest reggae records ever, and through a WEA distribution deal had some massive hits, including Dennis Brown's Money In My Pocket and Althea & Donna's Uptown Top Ranking. One of the earliest reggae records it picked up on was the lovers version of Feel Like Making Love by Elizabeth Archer & the Equators, with its even more astonishing dub side. It was a massive favourite of John Peel's in 1977. And yet, for such a great record, I confess I know practically nothing about where it came from. The only other place I have seen Elizabeth's name is as a backing singer on Prince Far I's Cry Tuff Chapter 3, along with Ari Up and Viv Goldman. 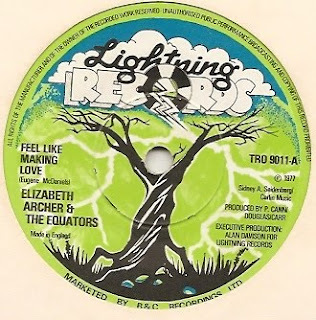 Somehow, knowing Lightning's way of working, I have always asumed the single was a Jamaican recording, though there was a West Midlands reggae outfit called The Equators, an inspiration to The Beat etc.,who later recorded for Stiff. Skimming Stones, the special issue of Your Heart Out which can be downloaded for free here, mentions the pub rock outfit Clancy, for which Barry Ford played drums. One of the group's founders was Colin Bass, who is one of that wonderfully confounding breed of musicians whose CV defies logic. Among the records Colin has been part of is his (former Clancy colleague) Gaspar Lawal's revolutionary Ajomase LP from 1980. 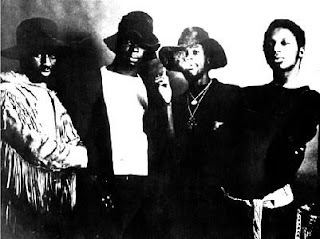 One track from this set, Kita Kita, was given a new lease of life when it appeared on the Strut collection Nigeria 70. 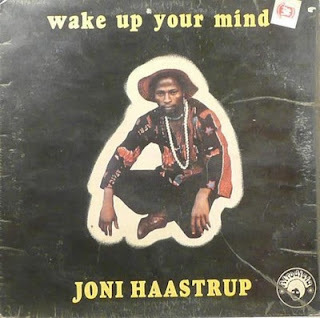 Another star of that collection, is Joni Haastrup, who was heavily in the production of Gaspar's 1980 LP. Joni's own LP, Wake Up Your Mind, which features classics like Free My People, is an absolute 'must have' as well. The same can be said for the MonoMono LPs he was part of. In 1985 Gaspar Lawal played on the charity single, billed as an alternative to Band Aid, which appeared on Madness' Zarjazz label. One side of the single was Tam Tam Pour L’Ethiopie which featured something of a who’s who of African performers. 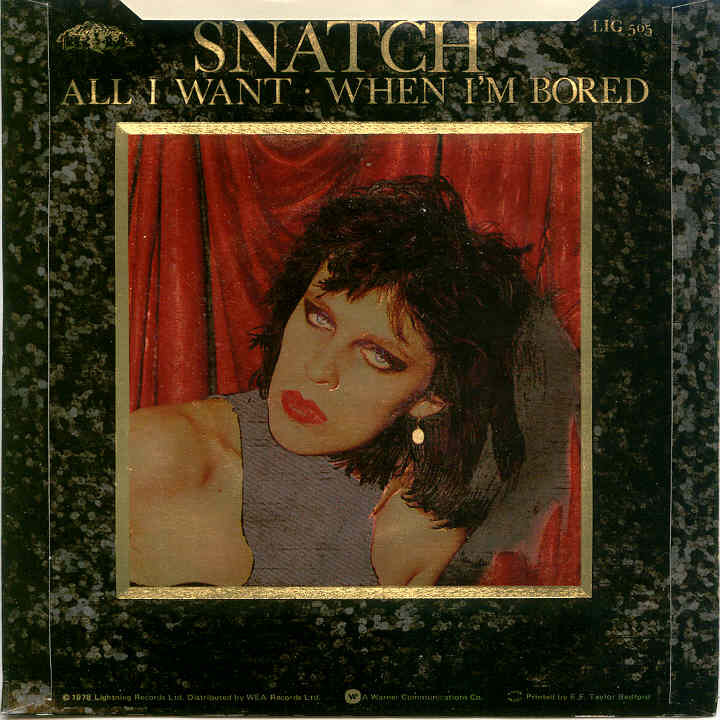 It also appeared as the first track on a NME cassette called All Africa Radio which gave a wonderful introduction to the sounds coming out of Africa at that time. Gaspar appeared on the other side, with what was essentially a 2 Tone all-stars line-up, which was an update of The Pioneers' Starvation. One of the stories at the heart of Skimming Stones, the special issue of Your Heart Out which can be downloaded for free here, is that of Mike Dorane. 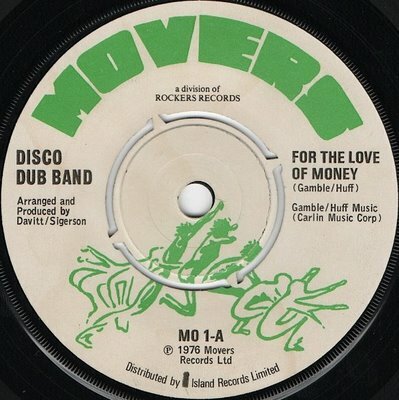 In 1976 the legendary version of For The Love Of Money by the Disco Dub Band was released. 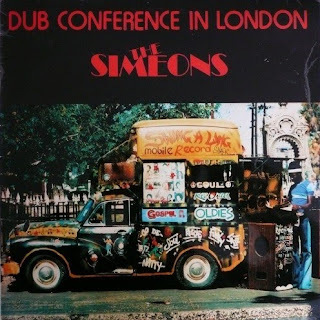 Until recently I assumed it was very much the work of black music writer Davitt Sigerson, which fitted nicely with the later Ze connection. But gradually the role of Mike Dorane emerged as studio wizard and the person behind two labels funded by Island: Rockers and Movers. History hasn't been kind to Dorane's story, and only snippets survive of the labels' output. Among the fragments is the remarkable Can'tTake My Eyes Off You by Fitzroy Henry which has such a sly, slinky dub funk groove it's astonishing. It was at the start of the '70s that Dorane arrived in the UK and became involved with the reggae scene. I guess now his best known recording is Penguin Funk, his collaboration with The Cimarons, from 1972. The Cimarons' own story is such an important one too, spanning the early Pama era through to the punk age when they often played for the Rock Against Racism and even toured with Sham 69 at the peak of their audience's notoriety. The work of Mark Lusardi is at the heart of Skimming Stones, the special issue of Your Heart Out which can be downloaded for free here. 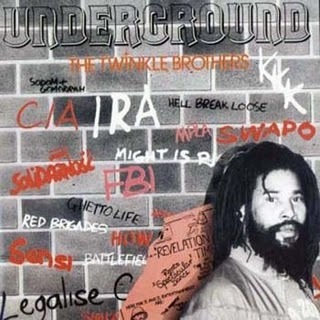 As well as the fantastic work he did on the UK reggae scene his engineering talents were also sought after because of his PiL connections. Killing Joke, for example, worked with him on their first single, and Turn To Red for example still sounds incredible and frightening. Another Malicious Damage act Red Beat worked with Lusardi, and came up with an amazing debut. 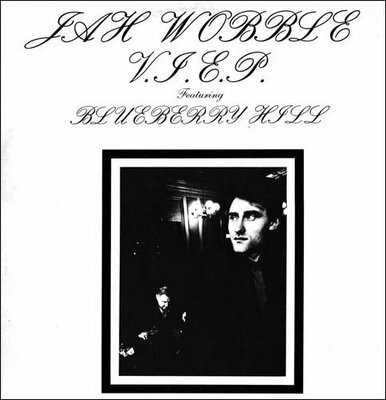 I guess Mark Lusardi's long-running working relationship with Jah Wobble is what he is best known for. They have worked together on many releases, including How Much Are They? (with Holger Czukay and Jaki Liebezeit) and the Fading 12". I'm not sure how many records Jah Wobble has worked on for other artists, but he, Ollie Marland and Mark Lusardi were certainly involved with a couple of EPs for punkpoet Joolz, including The Kiss. I would suggest all this provides a great excuse to return to this rare Wobble interview.